Google I/O might be a developer’s conference, but for the last few years the event’s epic keynotes have been Google’s biggest public-facing spectacles. Who could forget the action-packed Google Glass parachute stunt of 2012? Our Google press contacts have signaled that this year’s I/O really will be much more developed-focused than what we observed in 2012 and 2013. We’ll see fewer product announcements, and more emphasis on developer tools for improving the design and distribution of apps. Still, we remain confident that Wednesday’s keynote—streamed live on YouTube—will be as exciting as ever, showcasing upcoming innovations in Google’s operating systems and services, with a strong emphasis on wearables, home connectivity, and even automobiles. Read on for our specific predictions on what to expect from I/O’s 2014 keynote, and follow Greenbot throughout the conference for reports on how Google’s plans will affect you. Google has an established tradition of announcing new Android releases at Google I/O. In keeping with the “sweets named in alphabetical order” theme, the next version should be something that starts with “L.” (The current Android version, 4.4, is called KitKat—the first update to carry a commercial brand name). There are plenty of fun naming options available for Google, from “Lemon Drop” to “Liquorice” to “Lemon Meringue.” But our money is on “Lollipop.” The bigger question is whether Google will call it Android 4.5 or 5.0. It’s high time for a major version revision. Names are just branding exercises, of course. Users are more interested in features, and Google has been moving toward introducing new features not in Android itself, but in individual apps, their associated APIs, and in Google Play Services. This ensures that users can play with the latest, greatest features without having to wait for a full OS update from their carriers. It’s time to quit eating KitKats and move on to... probably lollipops. That said, a major Android revision might finally make the newer “Android RunTime” (ART) compiler for apps the default, replacing the aging “Dalvik” just-in-time compiler. This could help apps run more efficiently and launch more quickly, and have a positive impact on battery life. In the past, a handful of apps haven’t worked well on the newer experimental “ART” runtime, but recent changes to the Android Open Source Project (AOSP) suggest that Dalvik is gone for good, and apps will have to work with ART or not at all. In the long run, this is probably very good news. It’s also possible that we might see an update to OpenGL ES, which is the 3D programming interface for Android. Google needs an answer to Microsoft’s DirectX 12 and Apple’s Metal—that is, a lower-level graphics programming language that allows more efficient use of graphics hardware for enthusiast games. Indeed, if the mythical Android TV (see below) is aimed at gaming, graphics efficiency will be important, and a new version of Android is just the place to introduce this. All of today’s popular Android phones use chips based on the ARMv7 instruction set—but there are processors on the way that will be based on ARMv8. This major overhaul provides a bunch of improvements to the set of instructions and features upon which all those Snapdragons, Exynoses, Tegras, and OMAPs are based. (Apple was the first high-volume chip maker to make the jump to ARMv8 with the A7 chip in the iPhone 5s and iPad Air). Among these improvements is 64-bit support. 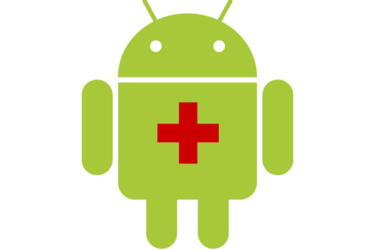 We fully expect the next major revision of Android to include support and optimizations for ARMv8, including robust support for 64-bit software and hardware. Of course, any new Android version would have to include a handful of other features, like factory-reset protection to make smartphone theft less of a problem. But, frankly, most of the really interesting improvements to Google’s mobile platform are finding their way into the apps and the Google Play Services infrastructure. And these can be updated without a major OS revision. With Apple’s HealthKit coming in iOS8, and Android Wear-powered smartwatches hitting shelves this year, we fully expect Google to bring a unified health-tracking feature to Android, complete with APIs for partners like Fitbit and Strava to hook into. The rumor mill says this will be called Google Fit, or perhaps Google Play Fitness. The idea is simple: Just as Google Play Games provides services to game makers (achievements, leaderboards, friend lists), Google Fit would provide fitness-themed services to those who make health and exercise products. There will probably be an associated fitness app from Google with basic features like step-tracking, but the real benefit will be in aggregating data from any fitness app that ties into the API. 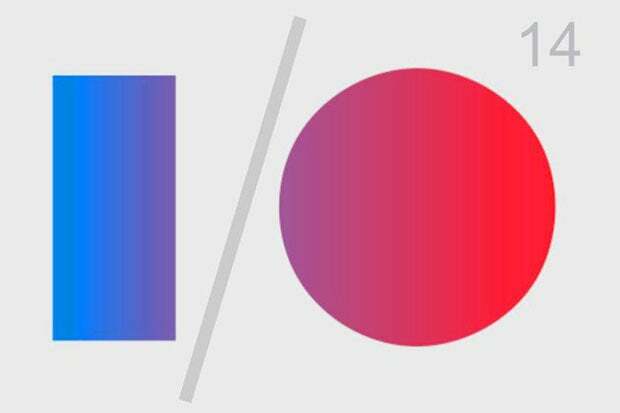 We’d be shocked if the Google execs left the I/O stage without announcing this. 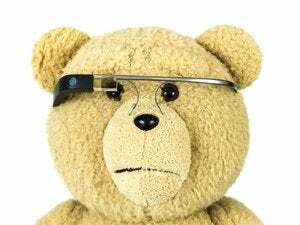 It’s likely that Glass will have a much bigger presence on the faces of attendees than on the stage of Moscone West. Google has issued a series of Glass announcements over the last few months, culminating in last week’s news about its first Glass at Work partners. 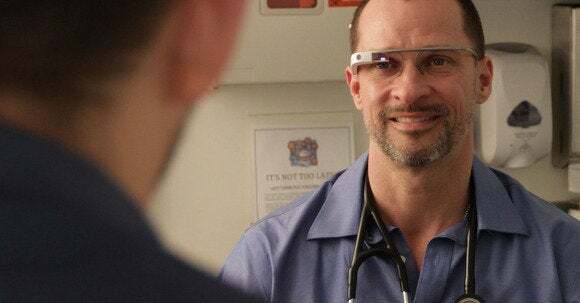 This program reinforces the role of Glass in doctor’s offices, industrial plants and other enterprise scenarios, and we might see someone at the keynote evangelize this effort, lending some serious credibility to Google’s smartglasses. Augmedix is a Glass at Work partner that’s building a platform for Glass in medical offices. But Google’s wearable story is shifting to Android Wear—at least for this I/O—so it would be surprising for any big Glass revelations to break this week. There are a number of Glass-focused workshops on the I/O schedule, but short of an announcement about Glass’ consumer release (and this would be a longshot), don’t expect any bombshells. Google’s smartwatch operating system will be a major topic of discussion at this year’s conference, as so many developer sessions focus on wearables in general or Android Wear specifically. In fact, we expect some type of Android Wear watch to be given away to all I/O attendees. 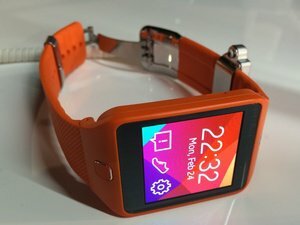 Until last week, the smart money said this freebie would be LG’s G Watch, but a recent report says a yet-to-be-announced Android Wear watch from Samsung will be demoed at the show, and could possibly be the hardware giveaway. In recent weeks, Google has released titillating nuggets about Android Wear, ranging from a blog post about what it’s like to design for the system, to a near-6-minute video evangelizing the platform’s tools for elegantly exposing information to users. At the Wednesday keynote, you should expect to see a live, on-stage demo of all the fancy tricks that put Google Now notifications directly on your wrist. It’s inevitable this presentation will reveal features that haven’t been shared publicly. 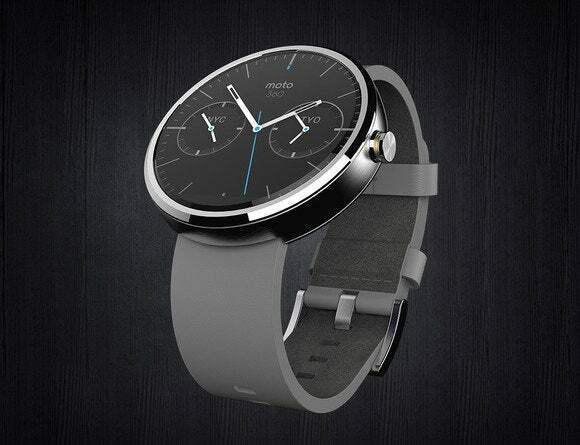 The Moto 360 is a confirmed Android Wear smartwatch, but it’s unlikely to be the freebie given away to I/O attendees. It’s also worth noting that the current Android Wear SDK is just a “developer preview.” It's intended to familiarize coders with the system’s interface and capabilities, and allows developers to customize their existing Android notifications. I/O would be the perfect venue to release the full SDK, which will allow developers to make apps that run directly on wearable hardware, and extend the Android Wear experience. And if the world is really lucky, we’ll learn some specifics on prices and release dates for Android Wear watches. LG and Motorola are confirmed watch makers, but HTC, Samsung and Asus have also been listed as Android Wear partners. It remains unclear if the rest of these brands are actually making watches, or simply supporting Android Wear hardware with their phones and tablets. 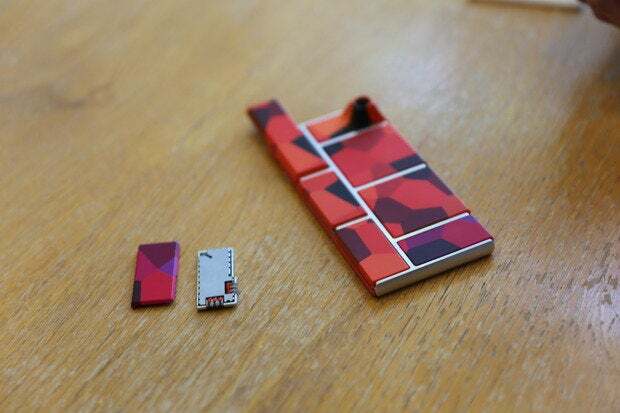 Google already dove deeply into Project Ara’s objectives earlier this year at an official Ara developer’s conference, so it’s unlikely that Google will spend a hefty amount of time detailing its modular smartphone concept at I/O. It’s too soon to have real Project Ara phones to show off for consumers, and developers just got their big info dump. Hi-ho silver! Rumor has it that Google plans to replace, or perhaps augment, its Nexus line of “flagship” phones and tablets with a line of high-end devices under a program called Android Silver. Prolific leak tweeter EVleaks and The Information both reported that LG will be the first to debut a premium Android Silver device, and it’s possible an official announcement of this phone will be delivered during the keynote. So what is Android Silver? The idea, so the rumors say, is to sell premium phones running “pure” unskinned Android at brick-and-mortar retail locations—the very places where people actually buy phones. (Google Play Edition and Nexus phones are primarily sold online through the Play Store.) Google would work with retailers on sales and promotion, and maybe even provide customer support. As recently detailed on Android Police, Quantum Paper is Google’s initiative to help developers deliver a consistent user interface across apps and platforms. Consider it a set of tools and guidelines that reinforce uniform user experiences throughout all of Google’s consumer-facing products and services. 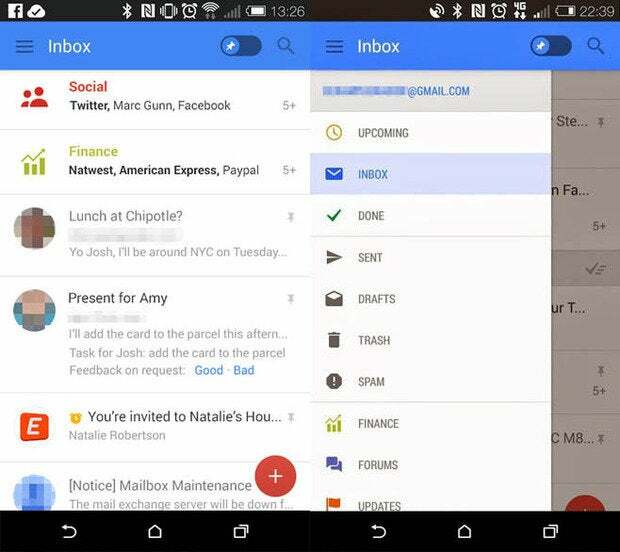 These purported images of a coming Gmail overhaul may be our first look at the design behind Quantum Paper. Whether or not Quantum is mentioned at I/O, it suggests Google is headed in a much more controlled design direction. “Quantum Paper is a hugely ambitious project, looking to unify and codify paradigms for visual, motion, and interaction design across all platforms, including web, Android, and iOS,” wrote Android Police. Still, it’s difficult to see Quantum Paper having a major impact when all the Android device makers imbue both their operating systems and apps with custom interfaces. Indeed, why push a unified design scheme when Samsung is going to go do its own thing anyway? Perhaps Google will use the I/O conference as a starting point to it make its case for pan-Android design consistency. It looks like Google is taking another stab at the set-top box streaming market. Again. After the colossal failure of Google TV, the company appears ready to give it another go with Android TV. Information leaked in early April suggests Android TV will be a platform, not a device, though maybe Google will kick things off with a “Nexus” version of Android TV hardware. From what we’ve seen in leaked screenshots, the current features deliver most of what we already get from other streaming-media services: It streams video from Google’s own Play Store and plenty of other streaming apps (Netflix, et al. ), and it plays games, too. Android TV’s big innovation could be an interface that aids users in quickly finding and watching content—but one could easily say that about Roku, Fire TV, or Apple TV as well. Maybe Google has a neat trick up its sleeve that will make a box powered by Android TV the must-have streaming solution. If so, Google I/O will be the perfect venue to make that pitch to the world. It’s been a long time since we’ve seen any significant updates to Google’s Nexus tablets. The Nexus 7 that arrived last summer is quite similar to the one introduced the year before, and the Samsung-manufactured Nexus 10 is nearing its two-year birthday. Google either needs new Nexus tablets, or should abandon Nexus entirely for “Android Silver” tablets. The latest rumor points to a 9-inch Nexus tablet made by HTC, featuring aluminum construction and a 64-bit Tegra K1 processor. Said tablet would arrive near the end of the year, making it unlikely to appear at I/O this week. But it's also a more expensive, larger, premium tablet—leaving room for Google to announce something inexpensive in the 7-inch range. Google’s been busy working its way into your car. It already provides Google Earth data to the navigation systems of Audi cars, making all other in-car mapping systems look cartoonish. The company also announced its Open Automotive Alliance at CES 2014, with Audi, General Motors and Honda signing on to develop new ways to integrate Android into dashboards. We expect to see news from that alliance roll out at I/O. Specifically, look for details on infotainment-system compatibility that will let you easily use your Android phone with a car’s built-in display. Google needs to catch up here, because Apple’s CarPlay interface is already poised to roll out this year in Volvo, Ferrari and Mercedes-Benz dashboards, as well as in aftermarket stereo systems from Pioneer and Alpine. 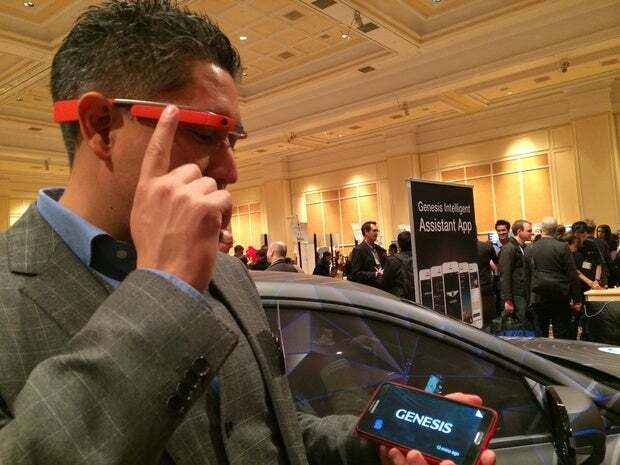 Google needs more car apps, and we expect some of them will work with Glass, like this one demo’d by Hyundai at CES 2014. Kia has made the deepest commitment to Android so far: Its 2014 Soul uses an Android-based infotainment system called Uvo. But auto companies work at a glacial pace. Uvo runs on the 2011-era Android Gingerbread. Another company or two might announce Android-based infotainment systems at I/O, but any such systems will have the same time-delay issues suffered by Uvo.